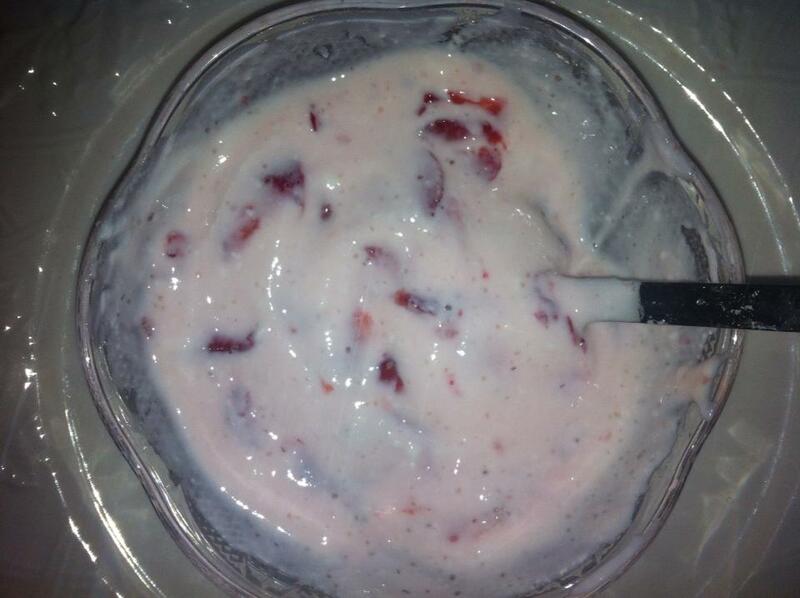 Mix sugar and yogurt well. Chop the strawberries fine. If you do not want to bite the chunks of the fruit blend it. 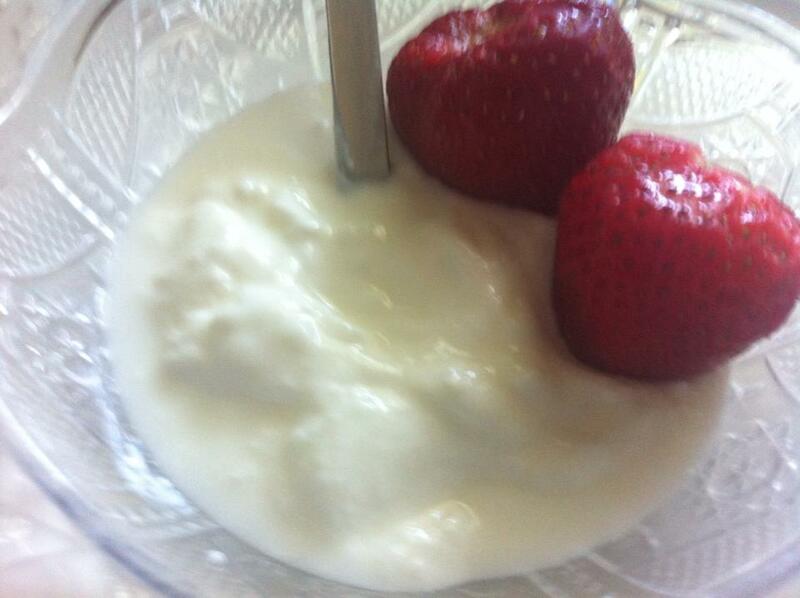 Mix with yogurt. You will never buy flavored yogurts.